I cannot believe it is 2015 tomorrow! This year has flown by and has seen me start this blog along the way, I know - what would you do without this blog aye? As a newbie to the blogging community I have really found it rewarding seeing my views go up and being active on social media to chat with all of you! We pretty much all use Google Analytics to stay caught up on what is popular on our blogs and what the readers are enjoying, as well as the controversial blogger stats, and so it is here that I love reviewing what has been popular this year. I thought I would put together a Best of Ellie Kathleen list to see just exactly what you have been reading and maybe what you will want to see more of in 2015. Number 5... Annie's Burger Shack, Nottingham A mixed review of a popular American style burger shack that has recently opened in Nottingham due to the popularity of the owner, Annie. The menu is huge and there should be something for everyone but I wasn't very convinced. Number 4... What I'm Loving ... Gin-Gins! These sweet and slightly spicy ginger sweets were a big hit on my blog earlier this year when I reviewed them. Read this post and I am sure you will be heading out or searching the internet to get some yourself. Number 3... Christmas Wish List / Gift Guide 2014 Everyone loves a good wish list or gift guide at this time of year and you all seemed to enjoy what was on mine! Christmas might be over but the sales are here so why not treat yourself to something of here. Number 2... Dinner, Drinks and a Movie - Yamas, Nottingham A bit of Greek cuisine in the form of Meze and Tapas. This is one of my favourite restaurants in Nottingham and is an independent family owned house of amazing food that should be at the top of everyone's list if they are in or visiting Nottingham. It almost made number 1 but not quite! Number 1... * wait for it* My First Time At Bill's, Nottingham Here we are the number one post of 2014! A lot of you know Bill's and this was my post of the first time I visited the newly opened restaurant in Nottingham. It is a chain but I couldn't help myself from going in and tasting the amazing food. I will definitely be returning. 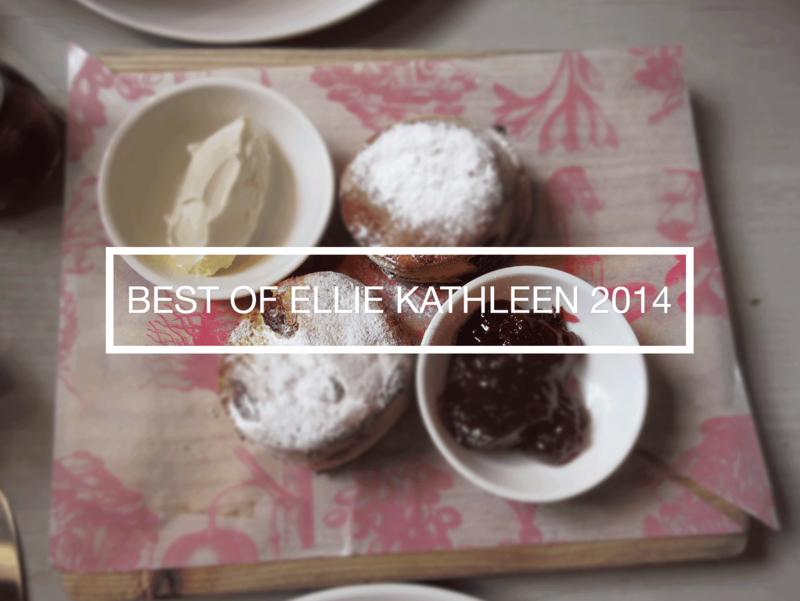 Let me know what your favourite post has been from Ellie Kathleen this year or any recommendations for 2015! I hope you have been loving my blog so far and thank you for all the support I am receiving. I am planning more reviews and also a couple of interviews so it all looks exciting, hope you enjoy! Don't forget you can follow me on Twitter, Instagram, Pinterest, Google+ and like me on Facebook!